MYCincinnati is a free, daily orchestra program for youth in Price Hill. 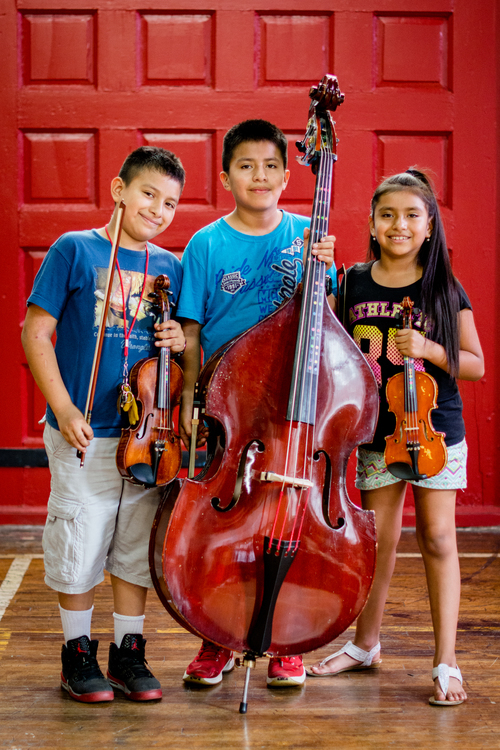 Founded in 2011 on the idea that personal transformation can be achieved through the pursuit of musical excellence, students enrolled in MYCincinnati have the opportunity to learn an orchestral instrument, and play in an ensemble. MYCincinnati is inspired by El Sistema, the Venezuelan national youth orchestra network that uses music as a vehicle for social change. MYCincinnati is a program of Price Hill Will, a non-profit comprehensive community development organization that serves East, West, and Lower Price Hill. Currently, there are over 120 young musicians enrolled in MYCincinnati's daily programming. In addition to orchestra rehearsals, sectionals, and private lessons, advanced students have the opportunity to participate in the Ambassador Ensemble Program, a unique initiative that explores issues of social justice through collaborative music making. MYCincinnati's musicians have performed and collaborated with pianist Awadagin Pratt, experimental rock band Deerhoof, Hip-Hop artist Napoleon Maddox, Swedish songwriter Jens Lekman, Cincinnati Opera, Cincinnati Chamber Orchestra, Maestro John Morris Russell, Elementz Urban Arts, MUSE Women's Choir, and more. For the Price Hill Creative Community Festival, MYCincinnati's young musicians will be performing brand new work in collaboration with the festival's Artists-in-Residence.